Now that the publicity over the last captured season is subsiding things have become rather quiet. The number of individuals requesting information on adopting one of the wild horses we rescued has also slowed substantially. 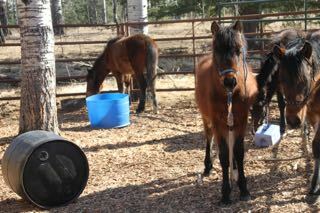 Of the 28 horses that WHOAS rescued, 3 of the young fillies have moved on to new homes already. 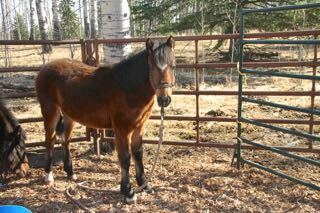 Another 13 of the young horses have been adopted and will be going to their new owners in a few weeks. Those individuals who have adopted their choice of the beautiful horses, filled out the application form and returned it to us right away to assure the horse they wanted would be theirs. We sent out a large number of application forms, but only the 15 have been processed. So far all the youngsters that have been adopted are assured of going to wonderful forever homes. 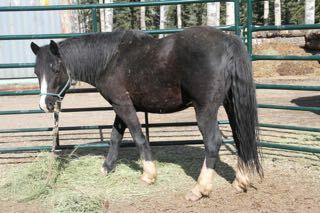 Louie, pictured above, is still unadopted and is waiting to be gelded. 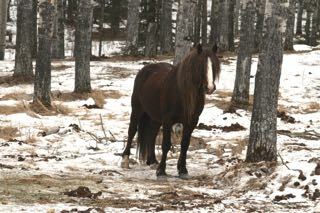 He is our most mature horse that we rescued, being around 4-5 years of age. 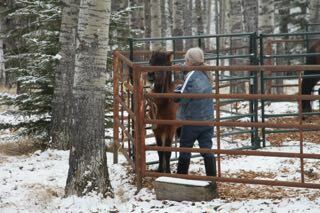 He is very vocal and is always talking to the other horses in our pens and especially to the resident wild horse herd that comes to visit every once in a while. He will need a very experienced horse person to take him further than our gentling process does. He is a gorgeous and very intelligent wildie. 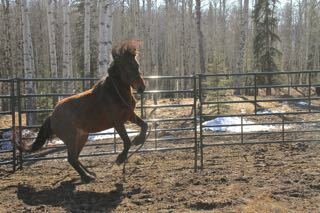 Here is Bailly one of our adopted young fillies acting out. Portero had come close in and let out a loud whinny and as soon as Bailly saw him she started to get all excited jumping up and running around her pen. It was humorous to watch her antics as she tried to gain the stallion’s attention. Here, Greg is working with Cindy, still unadopted, teaching her to pick up her feet. She is a very quiet mare who definitely does not mind the attention she gets. 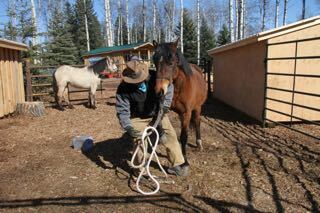 Our volunteers that come to assist have been of great help to us as we continue to care for all these wonderful horses. It is not all glamour because it includes cleaning the pens and stalls of all the droppings before we get to work with the horses. One of our newest volunteers teaches Dexter, also unadopted, how good it can feel to be brushed, touched and also loved. 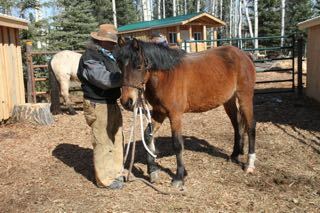 Our youngest horse, Bruce, unadopted, is also being taught how nice it can to be rubbed and scratched all over. Bruce is going to need a special home as right now both his hind legs have extended pasterns. We hope that with proper nutrition he may strengthen and they will straighten up. Our five youngest ones share a pen and it is heartening to watch they antics and different personalities play out – horse therapy! 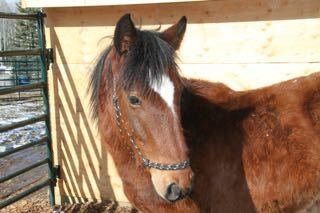 Dexter is one of our yearling colts and he is still looking for a forever home. He is easy to work with and readily accepts his human companions. We continue to have visitors who want to spend some time with the wildies and of course we welcome the volunteers who want to have hands-on experience working with these beautiful horses. WHOAS wishes to thank Innislake Dairies for a generous donation of hay. We have also had other individuals come forward to help us with assuring that there is enough feed – thank you to all of you that have donated.